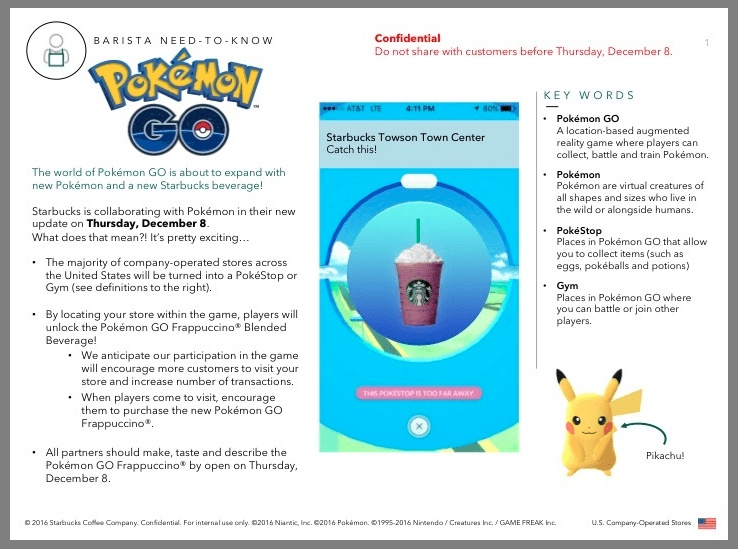 It appears Niantic might be teaming up with Starbucks to launch a massive Pokemon Go update that will see the coffeehouse franchise become a sponsored location inside the game – and also introduce a new Pokémon-themed Frappuccino. 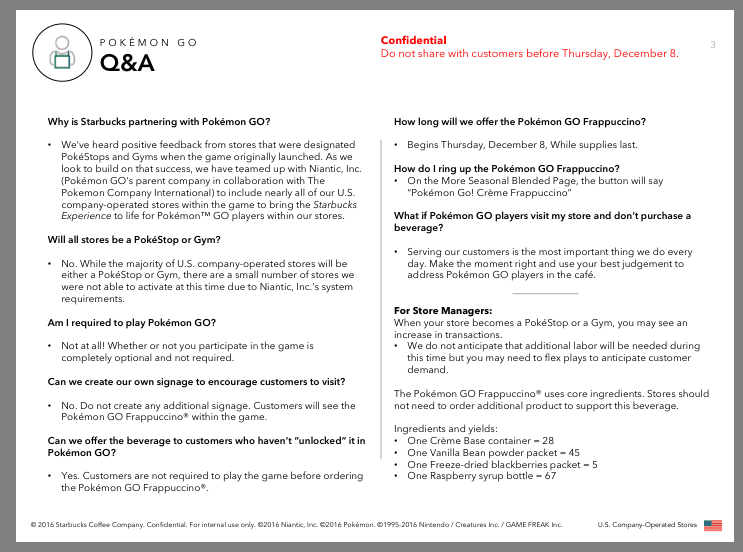 A series of leaked internal memos from Starbucks employees suggest the partnership will kick off later this week on December 8 and further hints a new Pokémon might also be unveiled during the announcement. “The world of Pokémon Go is about to expand with new Pokémon and a new Starbucks beverage,” the memo read. 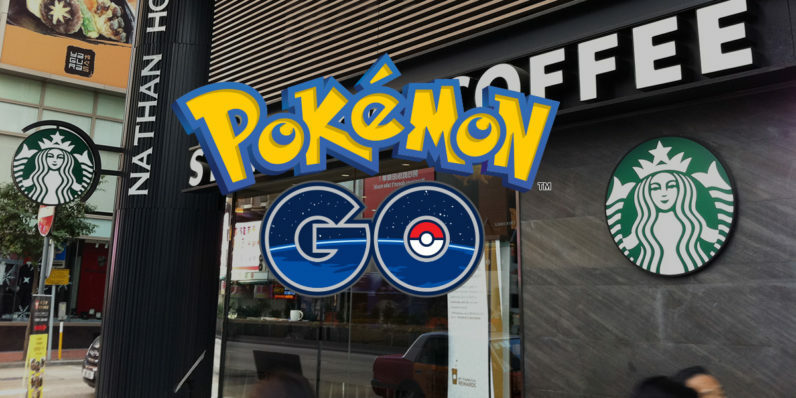 While details remain hazy, the partnership promises to turn the majority of Starbucks coffeehouses in PokéStops or Gyms. 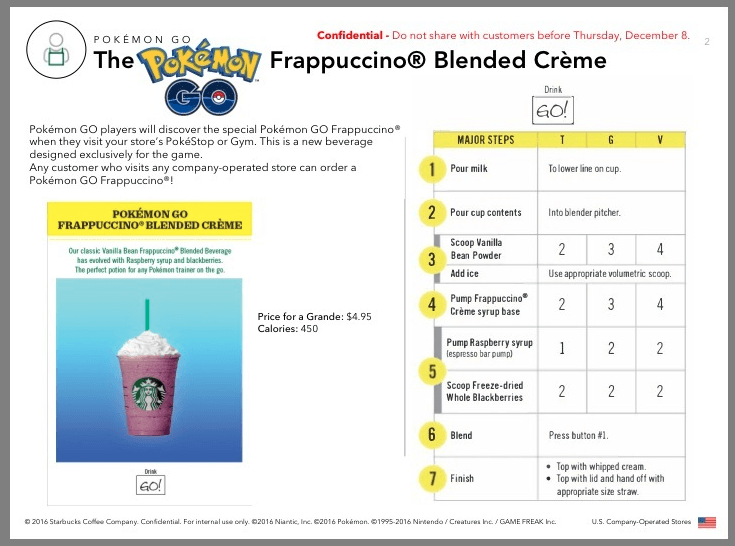 There, avid trainers will get the opportunity to unlock and purchase the special Pokémon Go Frappuccino; still, the newly added beverage will also be available to non-playing customers as well. The biggest question mark is perhaps the rumored addition of a new Pokémon. While the memo makes no mention of the particularities involved, Redditors are speculating the yet to be released creature might spawn exclusively in Starbucks locations – but this remains to be seen. The partnership comes hardly as a surprise. Earlier in July, Niantic was reported to be in talks with fast food giant McDonalds about possibly turning its restaurants into PokéLocations and offering exclusive in-app features for its burger-munching customers. The leaked internal messages suggest the partnership will launch this Thursday and will continue until “supplies last” – so you better act quick before it’s too late.